Get the look and protection of varnish, with the ease of applying paint. Unique one-part, high solids, linseed oil and resin formula seals and preserves interior and exterior wood. Available in your choice of Natural Teak, Satin, and Gloss finishes. All provide exceptional UV resistance. The condition of your boat’s brightwork and other wood shouldn’t be a reflection on you, but we all know better. Traditional varnish is one way to go. An expensive, time-consuming, labor-intensive way to go that requires expensive, time-consuming, labor-intensive effort to maintain. What price beauty? 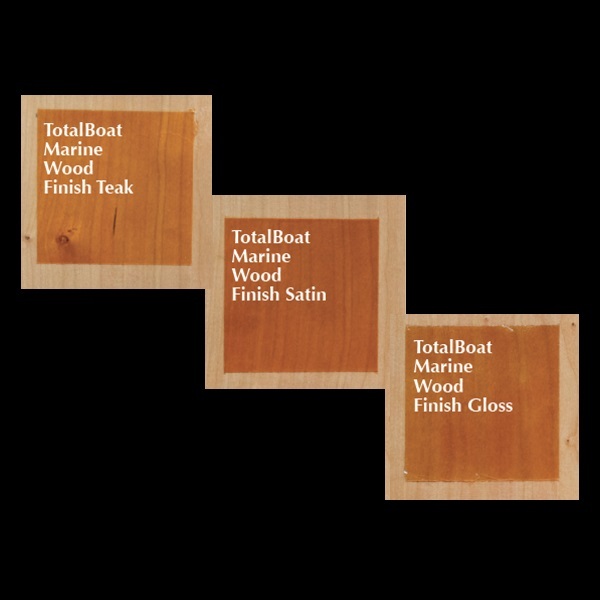 TotalBoat Marine Wood Finish has a high solids content that allows you to build coats like a varnish to beautify, seal, and protect interior and exterior wood surfaces. It brings out the beauty of the wood grain like varnish does, and it’s flexible to prevent cracking. It also contains substantial UV inhibitors to prevent fading and shrinkage like gloss varnish has. But here, the similarities end. 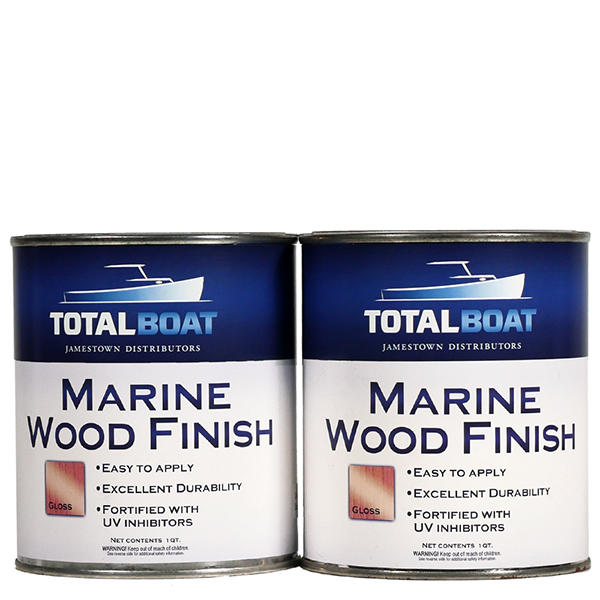 TotalBoat Marine Wood Finish is not varnish. It penetrates teak and other marine woods deeply, more like a sealer, for exceptional protection. It’s also not as finicky to apply as varnish. In fact, it’s as easy and as forgiving as applying paint. Better yet, it doesn’t have to be sanded between coats like paint and varnish. 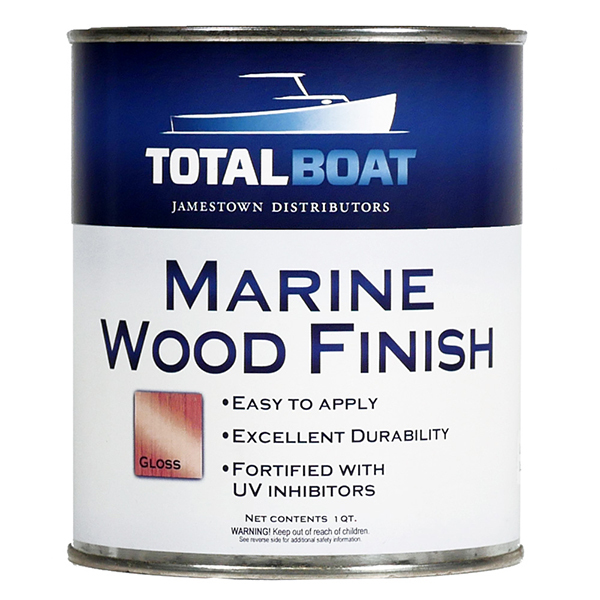 Our Marine Wood Finish has a better UV package than other non-varnish wood finishes. And our UV protection extends to all of our finishes—even Satin—which in the traditional varnish world is usually used below decks and doesn’t contain the same amount of UV protection. All of our Marine Wood Finish products are fortified with UV inhibitors and can all be used on interior and exterior wood. These finishes can be used alone or together, depending on the wood you’re coating and the look you’re aiming for. For example, on teak brightwork, you could use the Natural Teak finish to give the wood depth, then overcoat with Gloss finish to make it truly live up to its name. Or you could simply use Gloss on brightwork, without applying the Natural Teak finish first. And the Natural Teak finish isn’t just for teak, it’s for any wood you might want to change the color of a little bit toward the darker side. The Gloss can also be applied over the Satin finish for higher gloss results. These finishes can also be applied over epoxy on brightwork for UV protection and a very unique look. When you’re done, you’ll get the beauty and protection of varnish, and you’ll have spent a lot less time, money, and effort to get it. Recommended number of coats: 2-3 (1 seal coat followed by at least two more coats). Apply additional coats as needed for depth and enhanced appearance.